Klevatt & Associates, LLC is a full service Chicago-based law firm that represents businesses and business owners throughout the United States. Thier attorneys combine their business experience, legal knowledge, passion and skills to provide clients with top-quality representation at all times. 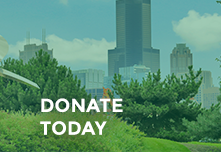 Located for a mile along the outbound lanes of the Edens from the Kennedy Expressway to Foster Avenue, this garden gives full attention to the sponsorship panel with native plantings of prairie grasses and flowers that fill the garden.